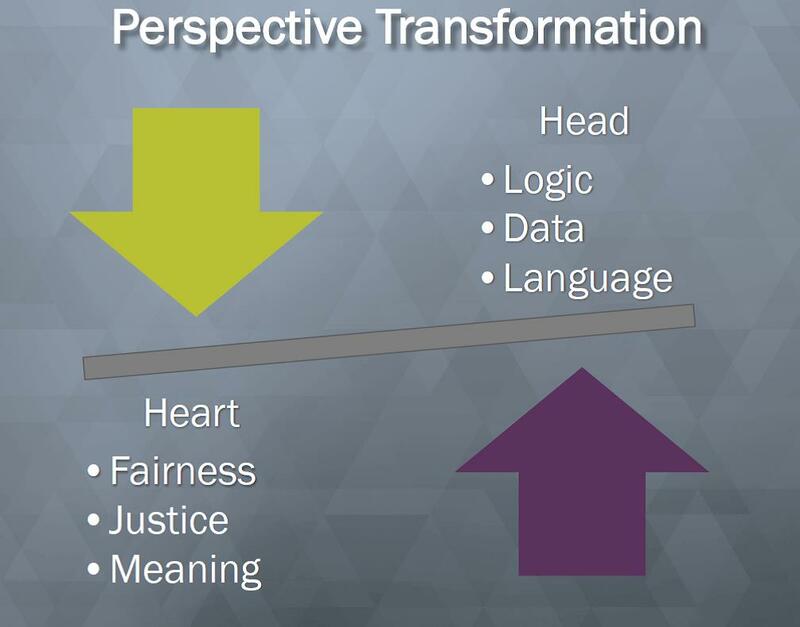 One of our key approaches is perspective transformation. Building the capacity of our partnership and community members to think, understand and act differently to make equity and racial inclusion a shared value. Everyone should have a fair chance to reach his or her fullest health potential. This is equity. Equity is a principle that guides our process and is ultimately what we are trying to achieve. As a principle, it guides who we work with, how we work together, and the goals and strategies of the plan. Using equity as a lens means that we are thinking about the resources we have available and the needs of our population. Our goal is not to make sure that all residents have the same resources or the same health outcomes, rather that everyone has the resources, access, and ability to live their healthiest lives. With equality everyone gets the same resource (the same crate) but that does not lead to optimal health (being able to view the ball game). However, equity is achieved by distributing the resources (the crates) in a way that acknowledges personal differences (height) and does lead to optimal health for all (everyone being able to view the game). The inequities that lead to poor health are bad for everyone, not just those who are sick or live in those neighborhoods. Economically, there are major opportunity costs for poor health across the region due to disability and lost years of productive work. We believe that health should not be viewed as something scarce or something that must be rationed or fought over. Instead, we view health as a resource that multiplies the more it is shared. Health is abundant. By improving health for those in need, we will generate better health for everyone who lives and works in Cuyahoga County. HIP-Cuyahoga is transforming our approach to health improvement to create the conditions and opportunities for all Cuyahoga County residents to be healthy. Our Steering Committee is committed to making equity and racial inclusion a shared value and as a result, voted unanimously to make Perspective Transformation a new Key Approach. The Eliminating Structural Racism subcommittee will guide our partnership’s efforts to build capacity to think, understand and act differently as we work collectively on this approach. If you would like to work with HIP-Cuyahoga to eliminate structural barriers to creating a Cuyahgoa County where all people are healthy and thriving, consider joining our partnership! To date, HIP-Cuyahoga has engaged in work and dialog to help facilitate a fundamental understanding of how our historical policies and practices have shaped—and continue to shape—our current inequities. What are the historical impacts of policies in our community? How do these policies impact people’s opportunities to be healthy today? What resources are at our disposal? How do we make sure that we advance the collective understanding of these issues across our community? Improving our knowledge, awareness and understanding of these issues better positions us to change the way we work and address and dismantle the barriers to equity in all policies. Opportunities are not the same for everyone in Cuyahoga County. Many racial and ethnic groups face steep obstacles and barriers to living healthy and prosperous lives. To build opportunities for everyone in our county to be healthy, we must think, understand, value and act differently through – perspective transformation. Perspective transformation starts with learning and understanding of how historical policies and practices have shaped current differences in community conditions and opportunities. With this understanding, organizations, institutions, key decision makers, community leaders and others can work to address the structural, systemic and institutional barriers at the root of these opportunity differences. Martha Halko, HIP-Cuyahoga partnership coordinator, and Greg Brown, partnership co-chair and executive director of PolicyBridge, presented at the Institutes of Medicine’s Community Based Solutions to Promote Health Equity in the United States, Meeting 2 on March 7, in Washington, DC. Halko and Brown provided a great overview of the health status of residents in Cuyahoga County and work of HIP-Cuyahoga to address public health needs through a collaborative and inclusive process. The open session meeting’s agenda items included the HIP-Cuyahoga’s Community Improvement Plan, planning and health, transportation and health, environmental justice and health, civil rights law and health and an overview of health disparities. View the session presentation video below. To learn more about equity, watch the keynote address by Angela Glover Blackwell at the Equity Matters in Collective Impact session from the 2015 Collective Impact Forum convening in New Orleans on May 6, 2015. Blackwell is the founder and president of PolicyLink.